Burning books is rarely good, and it’s usually one of the go-to indications—both in fiction and in real life—that a society has lost its way. 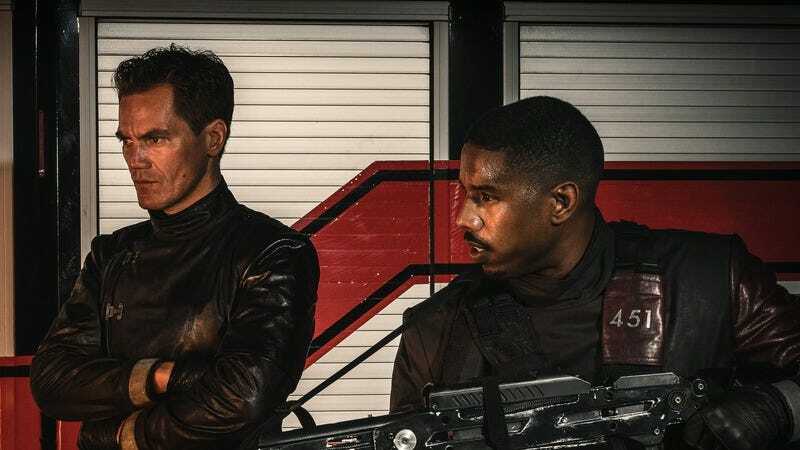 That being said, the people burning books aren’t usually Michael B. Jordan and Michael Shannon, both of whom are awesome and will soon be starring HBO Films’ adaptation of Fahrenheit 451. HBO has released a preview image of Shannon looking on as Jordan aims a flamethrower at something (probably books), and while anyone with a passing familiarity with Ray Bradbury’s original book can tell you that what they’re doing is abhorrent, Jordan and Shannon do make it look pretty cool. You can see the full photo below.